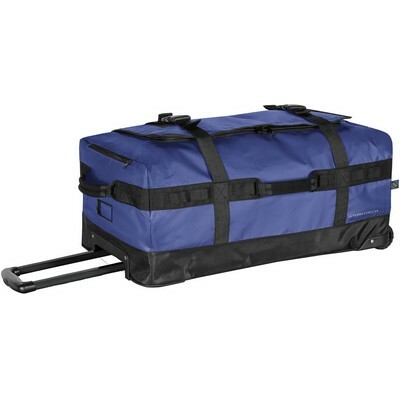 Made from heavy duty, reinforced, PVC coated fabric, this carry-on size bag offers a waterproof composite base that provides protection against the elements. Performance features include trolley wheels and an extendable handle.. colours_available_appa : Black|Blue|Red. colours_available_supplier : Black|Red|Royal. decoration_options_available : Screen Print.